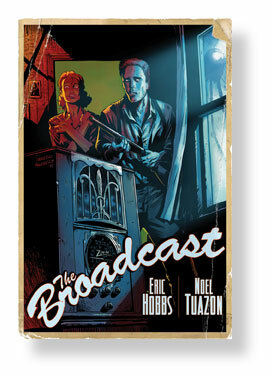 I just wanted to drop in and let everyone know Noel will be attending this weekend’s Toronto Comics Art Festival and will have copies of The Broadcast available along with some of his other work (Tumor, Ribstallments and Bacon Poussein). Noel doesn’t do a lot of convention appearances. This is a great opportunity to meet the man who played such a vital role in bringing The Broadcast to life. So stop by, pick up a signed book and grab a piece of art. And, oh . . . don’t forget to congratulate him on the recent Eisner nomination!! It was very well deserved! Previous Previous post: Sky Over the Louvre: weather forecast varies.